Reserve your sitter today for your time away! 4 to 12 hours advance notice for guaranteed sitter placement. We will create a personalized portfolio just for you! This will help us make the perfect placement for your family and make it easier for you to book a sitter with us again. Your portfolio will consist of your shore location, your children’s names and ages, your previous sitters, any medical conditions, your children’s likes and dislikes and any parent preferences. This portfolio will be kept on file for future reference. This fee will include your first reservation. 5 to 7 consecutive days for a week-long placement. Cape May, the Wildwoods, Stone Harbor, Avalon, Strathmere, Sea Isle, Ocean City and others inland. Babysitting- Cash – $18.00 per hour $1.00 per added child. Cancelation Policy: Reservation fees are non-refundable and one hour of the sitter’s rate will be charged if cancellation occurs less than 24 hours of the scheduled service. Margate, Longport, Ventnor, Atlantic City, Brigantine, and others inland. Advance payment is required on a valid credit card. Visa, Mastercard, Discover, or American Express. Casino/Hotel Babysitting Service: CREDIT $20 per hour + $1.00 per added child. 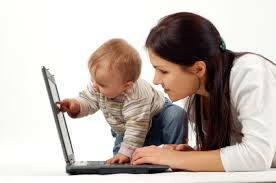 Home Babysitting Service: CREDIT $18.00 per hour + $1.00 per added child. 15% Gratuity: paid in cash. NOTE: FOOD/ALLERGY POLICY states: It is the responsibility of the parents to be sure the sitter is provided a meal (generally whatever the children will be having) if the requested services are early and they are working during a meal hour. Sitters at the Shore surely would not want to be liable for any problems concerning food “A SITTER” had brought along herself to the job, therefore it is our policy that our sitters conform to whatever the child/ren may be having for a meal and not bring their own food along. This is for the protection of your child/ren and it is because we care and take our job seriously as we want to keep your child safe at all times! Click here to book your sitter NOW!